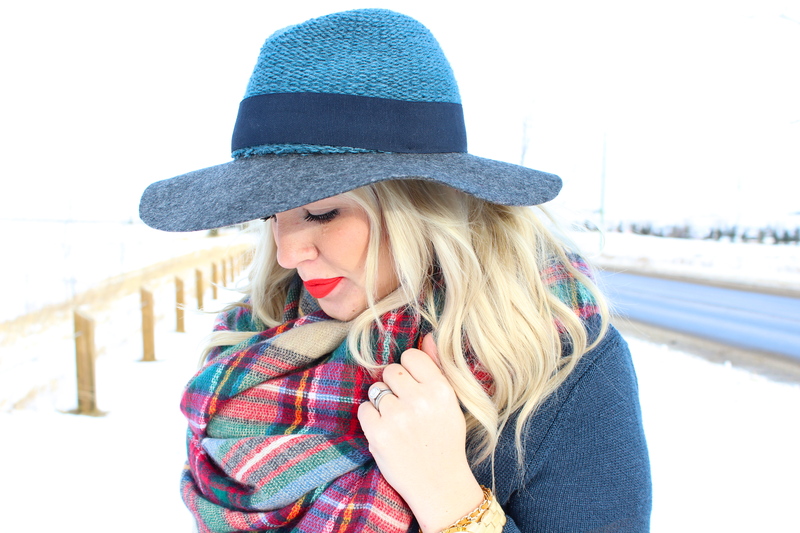 Plaid & A Red Lip - Lovely Blonde Closet "
Plaid and a bold red lip have been two of my staples this season. Whether it is a plaid scarf, or a plaid button down, I have joined in on the “plaid fad” and have been loving everything about it!! This scarf in particular, is the coveted “blanket scarf” from Zara. I stumbled across it and had to have it then and there! It is the perfect plaid, and it keeps me cozy and warm for these crazy cold days we have been having! Nothing goes better with plaid than a bright, bold red lip. Here is one of my favorites by Stila Cosmetics, one of my girlfriends told me to try it out and I absolutely love the color. It is their liquid lipstick “Carina” shade. Just a warning: it is a little bit of a dryer lipstick once applied, so I recommend either putting a clear gloss on top to keep some moisture on your lips or even a lip balm of some sort underneath or you will feel like your lips are very dry! Look at how beautiful you are!! Love this look! 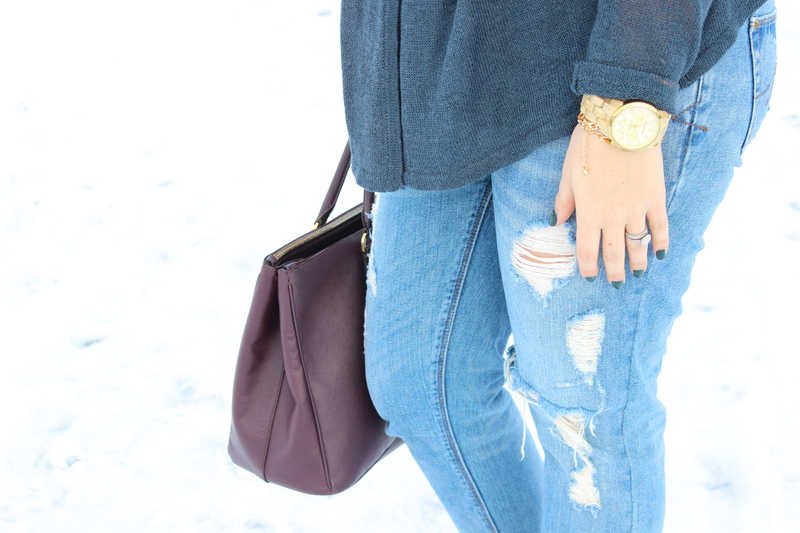 Love love love your blog Amaris! You make me want to be pregnant again with all your cute and flattering outfits!